PKN ORLEN focuses on the development of production assets in southern Poland. Hence the decision to build the propylene glycol installation to enable further processing of produced glycerol. Glycol is widely used in many industries, such as the cosmetics industry. The capacity of the proposed installation is estimated at around 30 thousand tonnes a year. This means that the output of the Trzebinia-based plant will cover up to 75 percent of the product requirement in Poland. In this way, ORLEN Południe will become the first glycol manufacturer in Poland. The related capital expenditure is estimated at more than PLN 200 million. 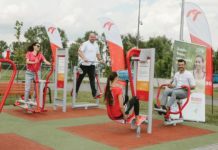 ORLEN Południe is a pioneer on the domestic market for biofuels and biocomponents and an important player in the biocomponents’ supply chain of the ORLEN Group. Investments in the development of its southern assets allow it not only to strengthen the company’s regional position, but also to successfully adapt to the requirements of the dynamic market, including environmental protection regulations. Last but not least, it is an opportunity for the company to create new jobs and enhance the employees’ skills in new areas. ORLEN Południe consistently grows its specialist bio-business, focusing on know-how development and a series of optimisation initiatives which form the foundations of the company’s evolution towards a bio-refinery. The use of technical glycerol in glycol production is one of the crucial elements of those activities. Propylene glycol can be used in the manufacture of cosmetics as emulsifying agent and humectant. Therefore, it is used in such products as toothpaste, hand hygiene products, detergents or as the main ingredient of stick deodorants. The company already has a license for this technology. The selection of the contractor is underway. The projected execution timeline is between 2019 and 2021. PKN ORLEN also commenced an energy investment at the CHP plant ORLEN Południe in Trzebinia, as part of its strategy for developing modern industrial cogeneration. The investment will help reduce fuel consumption and reduce emission standards by 45 percent for sulphur dioxide, by 32 percent for nitrogen dioxide and by 87 percent for dust. New gas boilers will be produced to replace the existing coal-fired boilers. As a result, the material input generating technological steam and electricity at the CHP plant, previously based on coal (98 percent) and fuel oil, will be replaced by coal and gas input (at 50 percent each). This is the optimum model in both technical and economic terms, which allows the company to respond flexibly and adapt its production processes to fluctuating coal and gas prices. What is important is that the investment meets the strict norms for technological steam generation from low-carbon sources, in accordance with RED requirements and the National Indicative Target (NIT) under the climate package. As part of strengthening the position of ORLEN Południe, some development projects are implemented at the plant in Jedlicze. 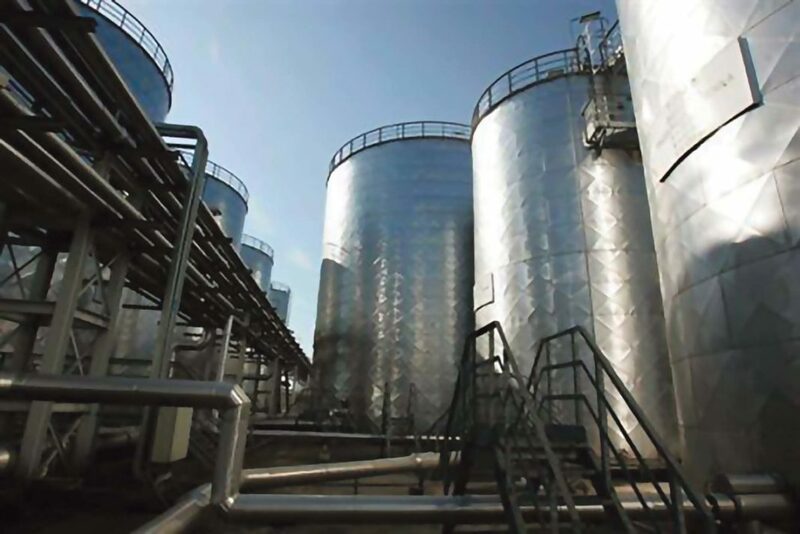 The company is pursuing preliminary work connected with production of 2nd generation bioethanol. The investment is important in the context of the growing challenges connected with EU directives obligating Poland to use renewable fuels and biocomponents in transport. The investment to be executed in Jedlicze aims mainly at the conversion of straw into 2nd generation biofuels. After examining the raw materials market, letters of intent were signed for the supply of straw as a raw material. In this way, the potential of the local agricultural market in south-eastern Poland will be used. The investment will also utilise the land intended for ORLEN Południe’s investments in Jedlicze. The initiative is currently in the project phase. Analyses are being conducted e.g. with regard to choosing the technology provider. PKN ORLEN opens Rzeczpospolita’s prestigious ranking of the biggest Polish enterprises. The Group was also the leader in the “Pillars of the Budget” contest. ORLEN’s first place on Rzeczpospolita’s “List of 500” confirms the company’s special role in the Polish economy. The Group plans to strengthen its position in Poland and abroad, focusing on long-term, sustainable growth and strategic investments, e.g. 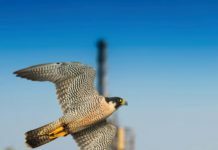 in petrochemicals or wind energy. The “List of 500” by Rzeczpospolita is a ranking of the largest Polish companies, published since 1999. It is based on sales revenues generated in the previous year. PKN ORLEN was ranked first on the list for the 19th consecutive time. This year, the top three positions remained unchanged and PKN ORLEN was followed by Jeronimo Martins Polska and PGNiG. The ranking also features other companies from the ORLEN Group: ORLEN Paliwa (10th), Basell Orlen Polyolefins (97th), ANWIL (142nd). The gala was accompanied by the award ceremony for the “Pillars of the Budget”. This ranking is created based on the amount of paid income tax. This year, PKN ORLEN was leader in the category of non-financial firms. In this way, ORLEN Południe will become the first glycol manufacturer in Poland. The related capital expenditure is estimated at more than PLN 200 million.